Why should you live stream with us? Live streaming is broadcasting live video over the internet. We help you get setup to start broadcasting your events live to the people who can't be there in person. No. You can upgrade, downgrade or cancel at anytime for any reason. What equipment do I need to start streaming? 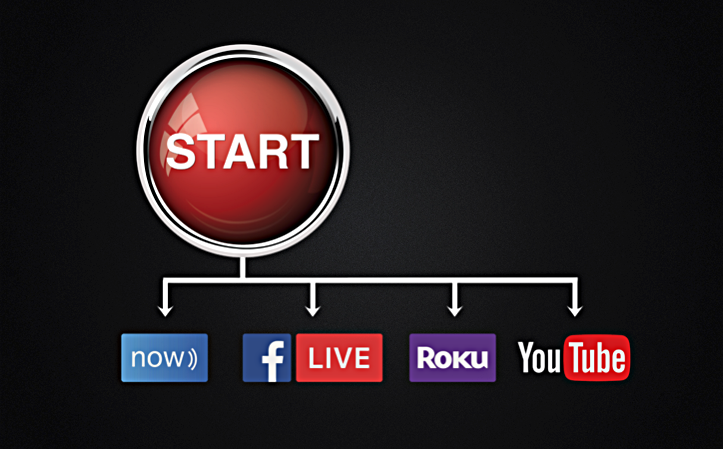 All you need to get started is a video source, an encoder (software or hardware), and an internet connection. I'd like to cancel, how do I do that? We'll be sad to see you go but contact us and talk to a Customer Care Representative to cancel your services. *Please note that cancelling will cancel future payments and you'll be able to stream until your next bill date. Do I have to get streaming and a website? No. If you already have a website, you can embed the video there. If you're currently happy with another streaming provider but you'd like a website, we would be glad to create that with you. What are the embedded apps you can put on my website? With our websites we can embed your Facebook, Instagram and Twitter feeds so that your visitors can connect with you on social media without leaving your site. For every website, we can also provide a globe or map showing the location of your viewers around the world. We also have a bible search app available. Can I book an appointment for outside of office hours? Contact us by e-mail (letschat@nowstreamingservices.com) or chat with us HERE to set an appointment outside of our office hours.